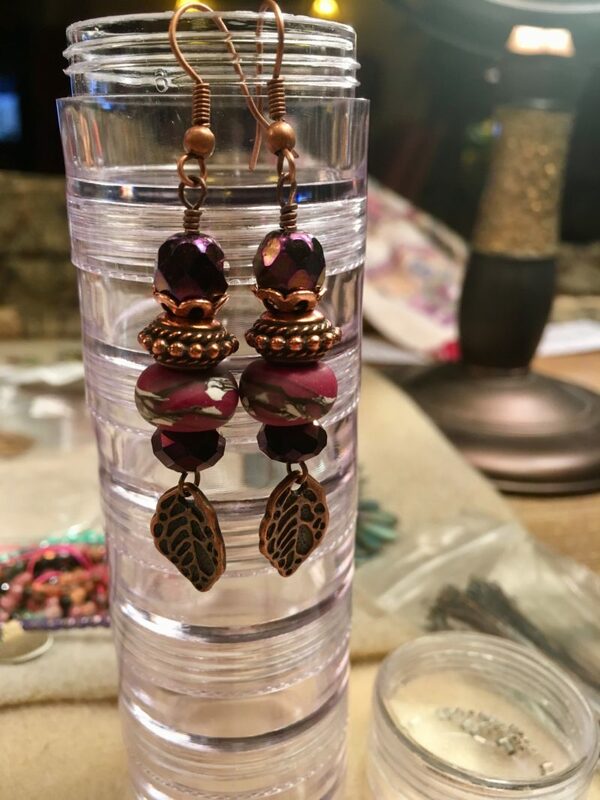 These earrings were inspired by the beautiful fall hues of the necklace worn by Heather Powers’ Mother Nature. Fall is my favorite season and the colors of fall are among my favorites to design with. 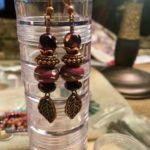 I chose beads of rich burgundy and warm copper for this pair of earrings. The art bead rondels are from HumbleBeads. The design is finished with copper leaves, a nod to the leaves that circle her neck.